After the win over France in the Six Nations opener at Twickenham on Saturday, England have stretched their unbeaten streak to 15 games. We take a look at each of the game. A meaningless rout of Uruguay was the final act of the Stuart Lancaster regime, England having already been knocked out of their own World Cup. George Kruis and Jack Nowell crossed either side of half-time as the Eddie Jones era was launched with a victory founded on a strong second-half performance. The ''good hiding'' of Italy demanded by Jones was duly delivered with Jonathan Joseph plundering a hat-trick of tries. England began healing their World Cup wounds by dispatching their Six Nations title rivals in their first match at Twickenham since being pummelled by Australia. The Grand Slam started to become a reality, but England were forced to survive a dramatic late fightback by Wales having led 19-0 and 25-7. England completed their first Grand Slam since 2003 but a tense victory was probably their worst performance of the campaign. This time Wales launched an early onslaught only to fade in the money-spinning fixture that at least provided England with a warm-up for their tour to Australia. England were over-run during an early siege by the Wallabies but responded magnificently with Jonathan Joseph, Marland Yarde and Jack Nowell crossing. A first series triumph in the southern hemisphere was delivered after England's defensive heroics held out Australia's relentless second-half attacks. In whitewashing the Wallabies, England delivered possibly their finest display under Jones as they concluded an exhausting season with a thrilling victory. A first win over South Africa since 2006 opened the autumn in conclusive fashion, but the Springboks were a pale shadow of their former selves. Nine tries were amassed with Jonathan Joseph, Semesa Rokoduguni and Joe Launchbury crossing twice, but England's defence was fragile. Elliot Daly was sent off in the fifth minute as England built a 16-0 lead, survived a Pumas fightback and then finished as the more dangerous team. A 14th Test victory was recorded as England's alarming early start eventually subsided with an opportunist try from Joseph the turning point. 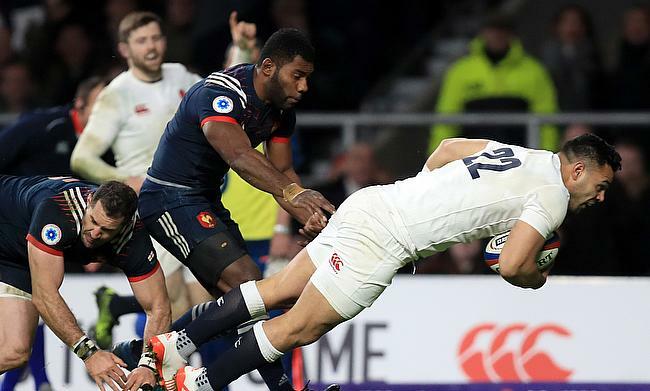 A late try from replacement Ben Te'o, which was converted by Owen Farrell, saw England secure a national record 15th successive victory despite a scrappy performance against France.